County Clare offers some of the best music, culture and scenery in all of Ireland. Not only is it home to the famous Cliffs of Moher, the moon-like Burren and gnarly surfing beaches, but you will find a mecca of traditional Irish culture and music. In fact, County Clare is the traditional Irish music capital of Ireland with year round trad sessions and music festivals. 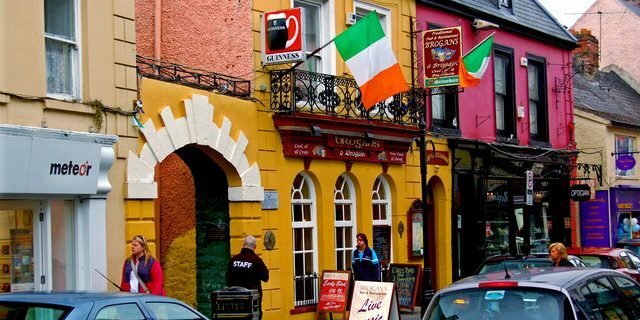 There are loads of pubs to choose from so we came up with a list of the top five traditional Irish music pubs in Clare we love best! The Roadside Tavern is legendary in Lisdoovarna. You will find traditional music every Friday and Saturday night in the winter, and every night in the summer. They have their own microbrewery called the Burren Brewery and an award-winning food menu served up by Kiernan’s Kitchen. The also have their own smokehouse next door so you can expect locally smoked fish and other smoked delicacies featured on the menu. The Roadside Tavern is just a hop, skip and a jump away from the Burren Hostel which makes an excellent base for exploring County Clare. Brogan’s Bar and Restaurant has been around for 35 years offering up phenomenal food and talented musicians. Just a two minute walk from Rowan Tree Hostel, which is conveniently located in the centre of Ennis. 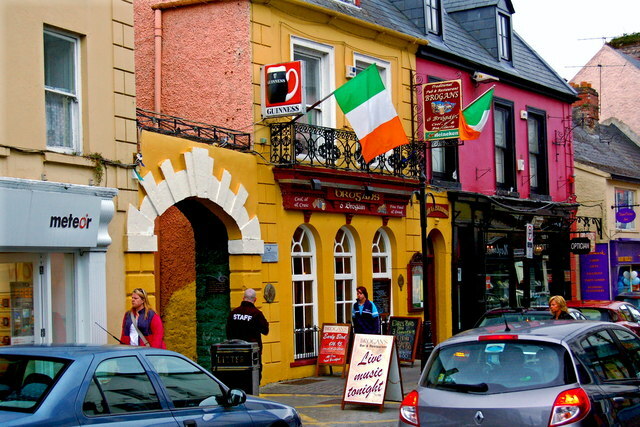 Doolin is one of the most famous towns in the world for listening to traditional Irish music. Gus O’Connors is renowned for its trad music and delicious food. They serve breakfast, lunch and dinner. The live music starts around 9:30pm every night, except 6pm on Sundays. And the atmosphere isn’t too bad either. McGann’s Pub is a well-known trad music pub in Doolin. They serve up traditional Irish food all day and live music nightly. Expect a decent pint, excellent sessions and a warm, cosy atmosphere. Vaughan’s Pub is the quintessential Irish pub with a warm, homely atmosphere, delicious Irish food and excellent music. We aren’t the only ones that think so either. The producers of Father Ted featured Vaughan’s Pub in the popular Irish TV show. And our favorite part is the barn to the left of the pub, where set dancing takes place every Sunday night at 9:30. Get there as fast as you can and never look back. Want to hear more about travelling and hostelling in Ireland? Don’t forget to sign up for our newsletter! The Ennis Trad Music Festival takes place in early November each year. Top musicians can be heard at the free CD Launches and Pub Sessions during the festival week. The Rowen Tree Hostel fills up early so make reservations in advance.